When Lexi and Ava were little, they created an imaginary third twin they named Alicia. Whenever anything bad happened, it was always Alicia’s fault. Fast forward to their senior year of high school, and Lexi and Ava are still posing as Alicia, unbeknownst to their father. Alicia is confident, only dates super cute boys — and only for a few dates, nothing more. Lexi wants to stop, but Ava refuses. Suddenly, the boys Alicia has dated are ending up murdered, and Alicia is the main suspect–but Alicia doesn’t exist. As Lexi suspects her twin and tries to find out who is responsible for the boys deaths, more twists and turns are added to keep readers guessing until the end. I really liked this book. I’m not one for “scary” books, so a murder mystery isn’t really my usual thing. I read this book in a few hours. I really liked Lexi’s narrative, and she kept my attention throughout the novel. Although we do find out the identity of the murderer at the end, I felt like a few ends were left untied. Just small details, but I would’ve liked for them to be explained. 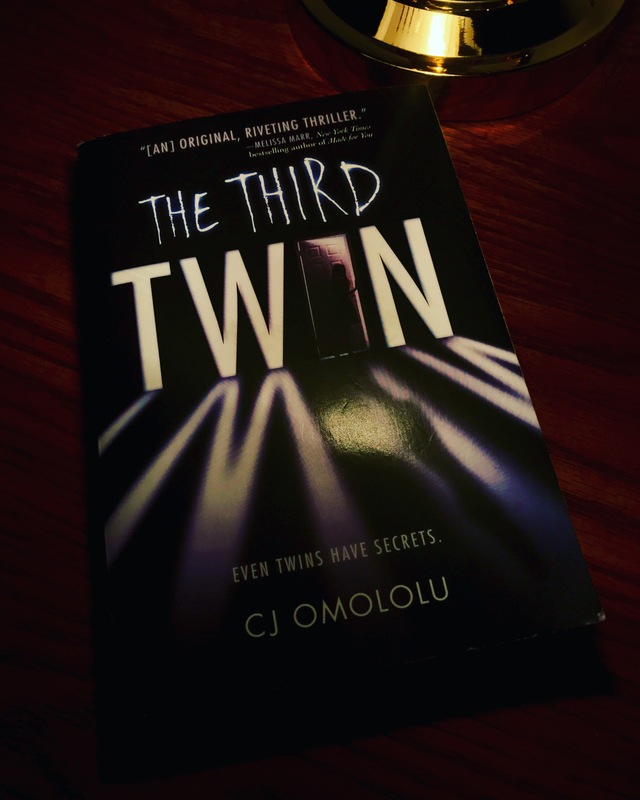 Overall I really enjoyed the book–I actually have a twin sister, and we’re the same age as Lexi and Ava, so that was interesting to read about. I would recommend this book to anyone, even to those who normally would avoid any types of “scary” books.